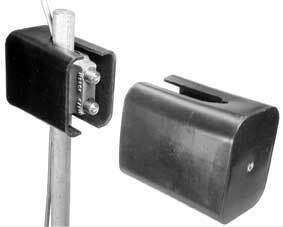 5/8″ ground rod clamp, two-bolt type with solid body and gel-filled closure. Connects #12–1/0 AWG solid parallel to rod. Standard packaging: 1/bg, 20/bx, 21 lb/bx. Click here for just the gel-filled closure.